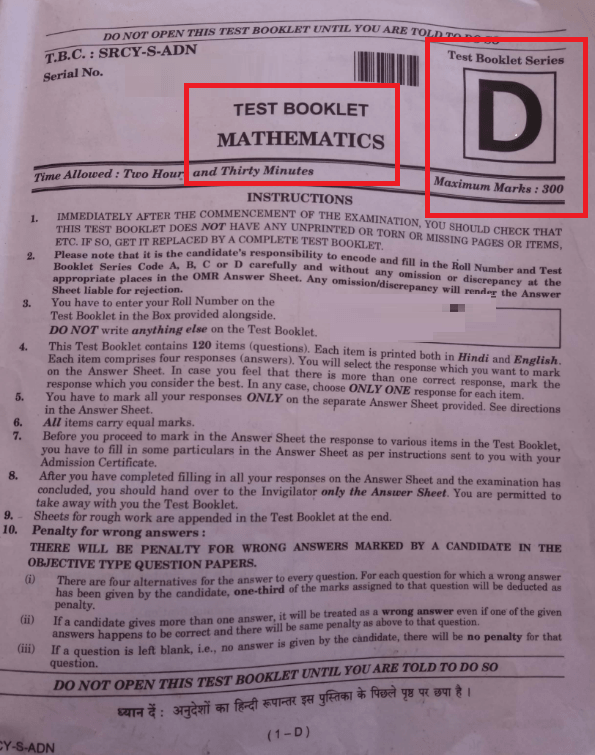 Download NDA 1 2018 Mathematics Answer Key from this page. It will be available on this page after the exam ends. Coaching institutes like Baalnoi, Indus, Olive Green, Allen, etc., will provide the answer key for NDA 1 Maths paper. Candidates can use it to check the how many questions have been attempted correctly. The candidates can further use NDA answer key to access their score in the exam. 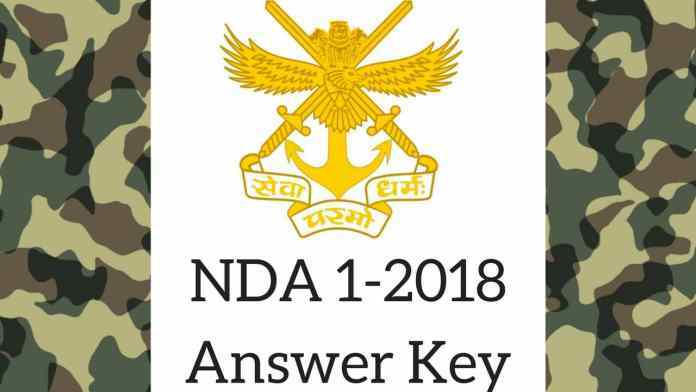 Check how to use NDA 1 2018 Answer Key, the process to download it, and more details from this page. Latest: NDA 1 2018 Maths Answer Key Released. Scroll down to view the answer keys. National Defence Academy (NDA) and Naval Academy Examination (NA) is an offline examination. Union Public Service Commission (UPSC) conducts the exam to recruit brave unmarried males who get training under Army, Navy and Air Force wings and serve the nation. NDA 1 Maths Answer Key 2018 Release Time – After 12:30 PM. Now after exam, NDA 2018 Answer Key has been published for Mathematics for Set A, B, C, D.
NDA 2018 Answer Key of Maths Set A Click Here – published! NDA 2018 Answer Key of Maths Set B Click Here – published! NDA 2018 Answer Key of Maths Set C Click Here – published! NDA 2018 Answer Key of Maths Set D Click Here – published! You can click on the following image to download NDA 1 2018 Mathematics Question Paper. Click here to download NDA 2018 Question Paper of Mathematics. The answer key of NDA is released as pdf. In it, the answers to the questions asked in the exam is mentioned. First, numerous coaching institutes release NDA 1 2018 Answer Key and later on it will be released by UPSC. How to Download NDA 1 2018 Maths Answer Key? Check the link for the answer key that shall be available here after the examination. Click on the link for the answer key for your paper set. Download it and use it to calculate the score. How to Calculate Score Using NDA 1 2018 Mathematics Answer Key? The mathematics paper for NDA is of 300 marks. There will 120 questions in the exam, which will be of multiple choice type. To calculate the score, the candidates will have to cross-check the answers in the key with that marked in the exam. Then, for each correct answer, the candidates have to add 2.5 marks. If any of the answers do not match with that in the answer key then it is incorrect and negative marking of 0.33 marks is to be done, i.e. of 2.5/3 marks. When all the answers will be checekd, the candidates will know their probable score.